• Uses dynamic data analysis technique and light-weight algorithm to construct a secure environment for the Internet of Things. • Adopts the hardware-based plug-on-demand approach to provide convinent usability and significantly reduces managerial cost for end-users. Secure network-attached legacy devices without having to install an agent or upgrade firmware. 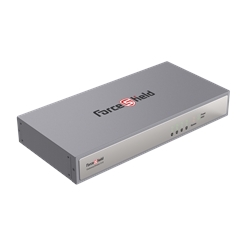 • Plug-and-play hardware appliance, for IOT and OT environments. • Bi-directional protection for multiple devices and networks. • Secure network-attached devices without having to install an agent.